Real Shoppee is truly one of a kind, distinctive virtual sales business. Specializing in providing customers with carefully selected products only as per there liking, realshoppee as made its mark in the virtual shopping world. Jewelry are adornment of precious metal that are made from gems and other material. They can symbolize a very important relationship with someone and serve as a remembrance of an unforgettable moment. Jewelry can come in different forms like necklaces, rings, brooches, bracelets, and anklets. But knowing the quality of your jewelry matters too. The most common material is precious metals such as gold yellow and white, platinum, palladium, titanium, silver, stainless steel and Pearl. There are either made using metals in their pure form or alloys. Other materials designers use include glass such as fused glass, wood, animal substances such as bone, ivory, clay both natural and polymer, plastic and even hemp or other twines. Gold is the most popular choice for men's and ladies wedding rings and engagement rings.Gold has a bright yellow color and is the most malleable and ductile metal known. It is a dense, soft and shiny metal that is resistant to corrosion and most other chemical reactions.The carat is the gold content of the metal. The carat measures the proportion of pure gold mixed with other metal alloy to make up the final metal. Pure gold (24k) is too soft and needs to be combined with other metals to alter its hardness, ductility, melting point, color and all other properties. Gold with lower caratage (22k, 18k, 14k, 10k) contain either higher percentage of copper or other metals. Platinum is one of the rarest elements of the earth’s crust. It is a silvery-white, dense, malleable, ductile, precious, gray-white transition metal which is generally non-reactive. This is considered a noble metal because of its remarkable resistance to corrosion even in high temperatures. Platinum is a prestige choice and is often chosen for its sophisticated appeal and popularity amongst the rich and famous. Platinum is normally not used in the full range of jewelry products due to its higher price. Silver is a softer metal than gold, titanium and platinum and does not have hardness that the other metals do. Silver is a popular metal for use in jewelry such as earrings, pendants, bracelets, necklaces and dress rings. It is best used for jewelry that will not be worn every day for an extended period. For that reason it is usually not recommend to be chosen for ladies and men's wedding rings, and is not suitable for ladies engagement rings. Silver is a popular metal for use in jewelry such as earrings, pendants, bracelets, necklaces and dress rings. It is best used for jewelry that will not be worn every day for an extended period. For that reason it is usually not recommend to be chosen for ladies and men's wedding rings, and is not suitable for ladies engagement rings. 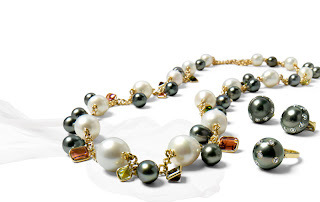 Pearl jewellery exhibits elegance and class.Whether you are looking for a perfect jewelry for wearing in the office, or an elegant item for that special night out, pearls are always the right choice. Pearls are said to be the most feminine gemstones and considered as priced possessions for their innocent beauty and rarity. The existence of pearls dates back to more than 4000 years ago. But it definitely adds that elegance and sophistication to your appearance till today.